We deliver hand crafted Websites experiences designed for your audience. By defining clear goals and a Web strategy, we ensure a professional image and bring real added value to your business and your customers. We put quality first, and focus on user experience. All our Websites are responsive and empowered by cutting edge asynchronous technology. Our developments stay compliant with standards and best practices, allowing easy updates and broad device compatibility. We can custom build applications from the ground up or allow you to benefit from our advantageous Web App package. and optimized search engine ranking. Web companies often sell CMS (Content Management Systems like Wordpress and Joomla) with the idea of freedom and control over your content. The reality is often far from the expectations. CMS only offer partial control over your Website, require costly maintenance, and come with a large volume of scripts and options that will never be used, and contribute to poor performance and security. CMS are still a solution in some cases, but they do have a higher cost in the long term. Despite the attractive idear of "self editability", very few businesses actually spend the time to blog or maintain efficiently their CMS. This is a fact, especially with the rise of alternative and easier publishing options. If your Website becomes successfull and well ranked (as it should if it is well done), it will attract a lot more spamers and malicious atempts. Without maintenance, CMS are vulnerable. It will put your server, emails and all your marketing efforts at risk. Getting black-listed, or representing a threat for your visitors will be extremely counter-productive, expensive to fix and disastrous for SEO. CMS maintenance is expensive! Other than problems that can occur over time with CMS installations, security patches and updates are issued regularly by CMS vendors and require your developer's attention on a regular basis. Those updates need to be frequently installed and tested in order to keep up with basic security. CMS have a short life expectancy. CMS major versions are changing every 3 to 4 years. This often imposes a migration to the newest CMS version in the best case scenario. Considering all the installed modules and templates, there are chances that you might need to entirely re-build your site. CMS are a seductive option for designers to quickly set-up a Website. But the template system facilitating the initial design will make your site slower, by adding server processes and / or forcing your visitors to load unecessary scripts. This creates poorer user experiences, and degrades your SEO. Designers using CMS generally shape your content to fit a pre-installed template, while your content should determine the shape of your Website. This results in a mediocre way to convey your message with a low marketing impact, and will significantly lower your convertion rate. For small updates, blogs and image galleries, we developped a minimalist CMS called Dash. Dash can be plugged to an existing Web App as a second step. Our system is based on the latest technology standards, works on mobiles and offers the best performances in speed, scalability and security. If your needs require a full-fledged CMS, we recommend and use Drupal CMS. Drupal is noticeably used by the American Government, Nasa, Sony, Fedex and Greenpeace. We work with a minimalistic distribution of Drupal. We also provide CMS maintenance services to keep up with security upgrades. Litemoon has put together a unique framework called Asteroid merging a long industry experience and the latest cutting edge technologies. Asteroid is built for sparkling, efficient and secure Websites with a long life expectancy. This means a great return on your investment. Better than a blog! Install Instagram, Facebook, Twitter, Pinterest on your mobile, and simply post pictures, and short stories on the go. Your Website will automatically gather all your social media activity, organize it and display it instantly. Check our social stream demo or read more about our social wall. Once your Website is launched, we offer efficient Web updates & day to day Website support services. To apply updates or to blog on your Web App we developped a minimalist CMS called Dash. Dash can be plugged to Asteroid in a second step, once you know more about the real needs of your Website. Dash works from mobiles. Our Web Apps are primarily designed for mobiles, offering an extreme responsiveness. Our platform goes even further, and offers stunning speed performances with asynchronous technology. Our platform architecture is based on simple yet powerfull technologies. We replaced the database by "solid state" files for data storage. This makes your Web App faster, scalable, and extremely secure. Results first! Our Web App package includes a strong attention to SEO (Search Engine Optimization) and UX (User Experience). Our Web App package provides higher marketing impact by including a hand crafted design. We shape your site around your message, instead of shaping your message to fit a container template. We deliver top quality, reinforcing your credibility and professional image. With our Web App, your business will look sharp; literally sharp, even on high density displays (like Apple retina, 4 and 5K screens). Magazines and newspapers ads are complementary to your Website. We do encourage you to advertise in print media. 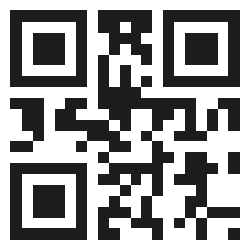 We even provide printable QR codes with all our Web Apps! But to seriously build up your image and sales, all your marketing efforts (in newspapers, magazines, radios, outdoor billboards and others) must be backed by a good website. Your Website is the key stone of your marketing. It is the only representation of your business available on demand 24/7 worldwide, right in the pocket of your audience. Your Website is the best representation of your business. It lists contact information, location, social networks, products, services, and can showcase alternative media including video, audio and print. Unlike print and production media, a Website allows updates over time, to reflect any change quickly and at a minimal cost. If one day you decide to change your Website, your previous online marketing investments will be kept with your domain name audience and recognition. Word to mouth often ends with a Google search. Will you be there? Printed ads alone have a strong, but limited exposure. Newspaper ads can go upper than $ 500 per day. 6 months edition magazines page ads can go upper than $ 5000. Your Web App is there for several years. For a limited budget, you establish a fundamental marketing tool that could last indefinitely! This represents a great return on your investment. We carefully select our clients and nurture long term relationships. If we work with you, we endorse your goals to ultimately raise your revenues. From strategy to digital and print productions, we assist you with proactive guidance and quality work. We know the good and the bad shortcuts to save you time and money while leveraging brand equity. from 8.00 am to 3.00 pm.